About two weeks ago, MediaTakeOut published a report claiming Blac Chyna has started dating Kim Kardashian's brother, Rob Kardashian. Many didn't believe it ...below is what they wrote..
MTO can confirm that Blac Chyna is now dating Rob Kardashian. That's right: Kylie's brother. We're told that Chyna reached out to Rob many weeks ago, to help him lose weight . . . and they hit it off. We're also told that the two are preparing to go public with their relationship this week. Oh, and Rob is now following Chyna on Instagram. Well, lookihere! 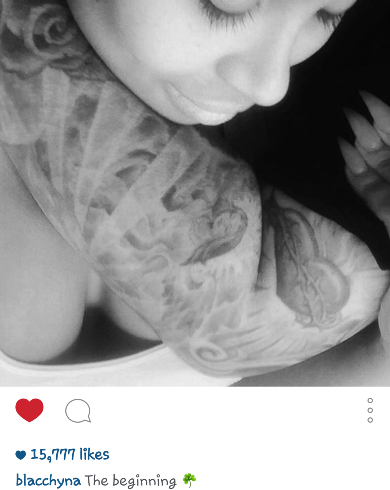 Blac Chyna today posted a photo of Rob holding her and calls it 'the beginning'!